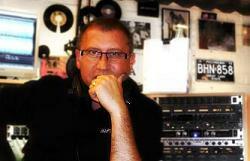 Bruno Hantson has been a night club DJ since 1978 and a radio DJ since 1980. He was one of the first voices heard on the earliest Belgian and French pirate radios, heard as both a DJ and as an announcer for various ads and event promos. Bruno Hantson currently produces a weekly, hour-long, bilingual show called “Soul Box”© which is then broadcast on radio stations across Europe and also Canada. 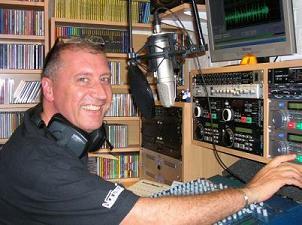 He also manages a webradio dedicated to soul music: “Spirit Of Soul” © which broadcasts continuously. Radio Mi Amigo has broadcasted Bruno's great soul/R&B show 'Soulbox" since 2015 until today. Since January 2019, Bruno -who's native language is French- produces a new French radio show: 'Retro Hit Box', exclusively for Radio Mi Amigo, Europe's nr1 Oldies Station, to serve its French listeners. Bruno's Soulbox is aired Saturdays 18:00 hrs and Mondays at 14:00 and 19:00 hrs. Retro Hit Box can be heard every Friday at 13:00 and Sunday's at 18:00 hrs cet.